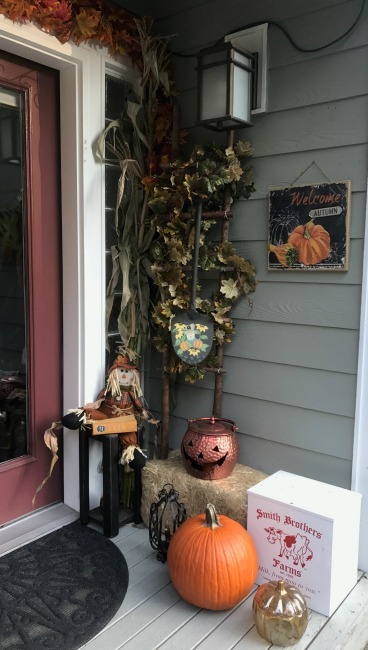 This past weekend I took a little time decorating around my home and my front porch for autumn. I have been so busy writing for the final deadline of my manuscript, that now it’s time to get a post ready for Tune In Thursday, and my brain doesn’t want to write anymore. Have you ever been there? Needing to write, and with no desire or inspiration? I sure hope I am not alone in this. 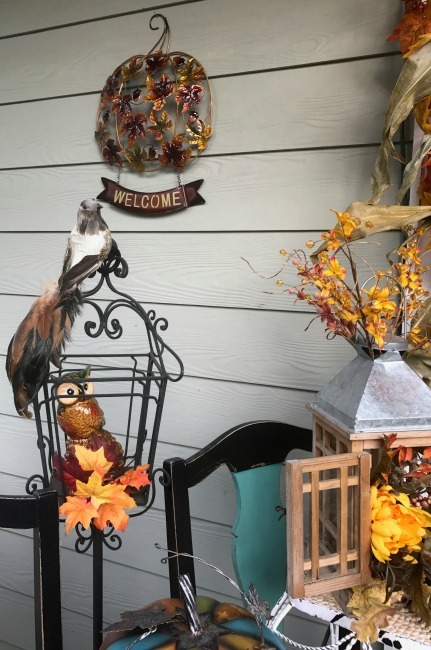 I hope you enjoy my fall decor, and maybe you will get a little inspiration for some decorating of your own. Not everything is purchased at the same place or the same time. I am always on the look out when I go to thrift stores, or second hand stores for items I might add to my decorations. Fall is one of my favorite season because of all the beautiful color changes that occur. This little pillow below was my newest find from Home Goods. Here is my Table-Scape (minus my fall dishes). 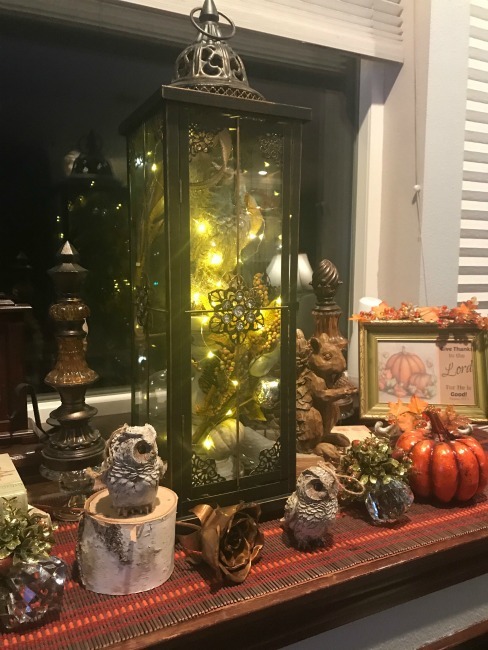 I love lanterns, and the one I use for fall on the table was brought home from one of my trips to South Carolina. My front porch is still in process. I have some lighted burlap ribbon I still need to add to the leaf garland around the doors, but here’s a peek at what it looks like now. (excuse all the cords). Here is another view of the full porch from a side angle. Below are close ups of various portions of the front porch. Each yer I try to add one or two items. 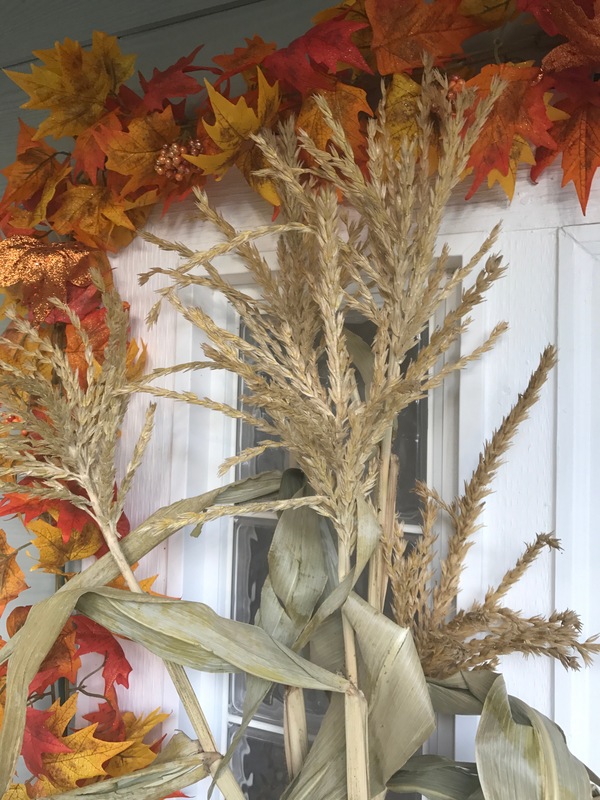 This year, I was able to find some real corn stalks to flank my front door and then added 2 new pieces. The blessed basket which is filled with cinnamon smelling pumpkins and pinecones and the swag hanging on the front left side door. 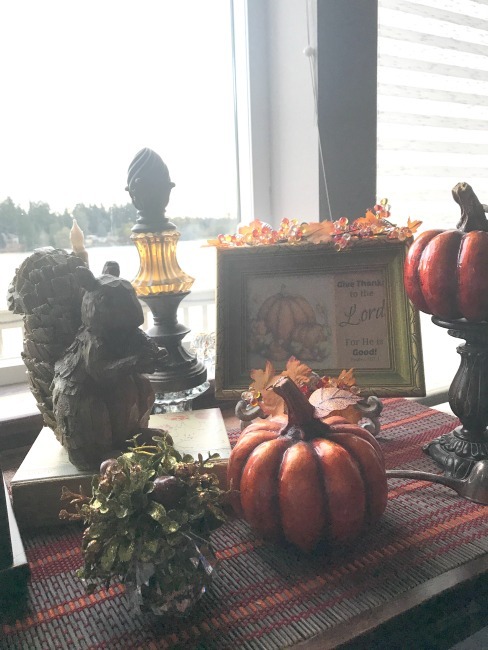 Check out the Fall Decor today at #TuneInThursday. 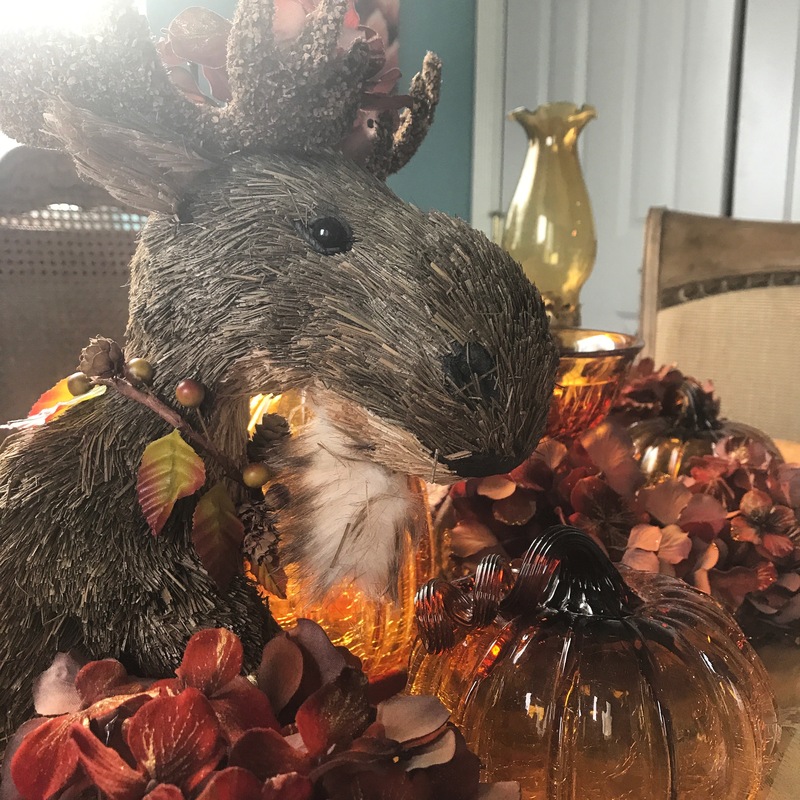 Here are some easy links from Amazon if you want to add a touch of similar items to your fall home decor. (Note: these are affilitate links. There is no extra cost to you, however, I do get a small fee if you choose to purchase using my links). Beautiful photos, Debbie! Happy fall to you! Wow, Debbie! 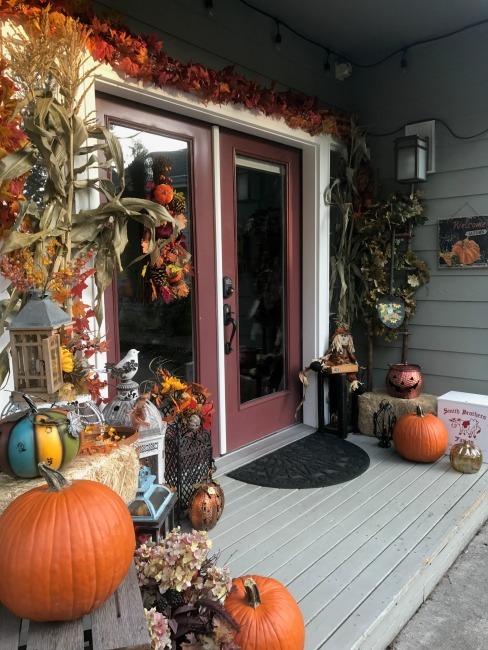 You are rockin’ the autumn beauty at your house. 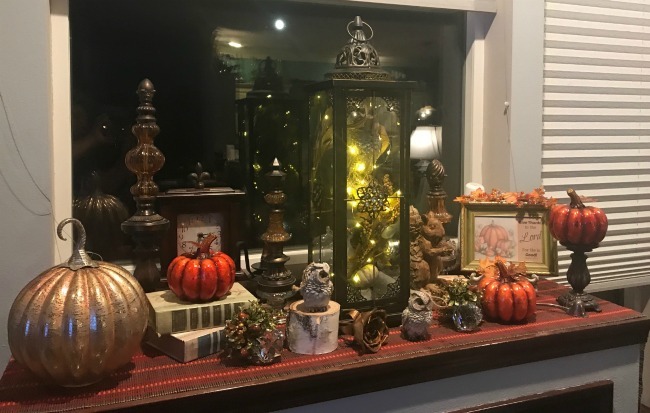 My fall decorating happened in much the same way — I grabbed a spare minute and flung everything into place, and now I’m enjoying it SO much. It was a good use of time, after all. The only thing I decorate for is Christmas — that wears me out so much, I need to rest for the other parts of the year! It looks lovely, though! Love the decorations! 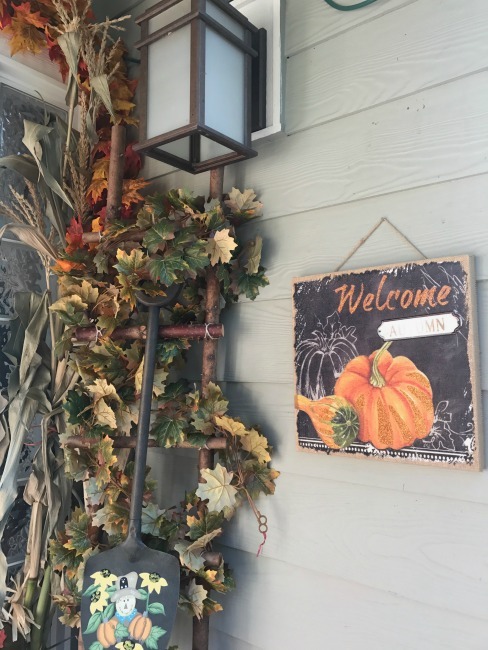 I love fall and my decorations are up. As we unpacked boxes, something would suddenly appear to make our house become our home. Finding new places for old things took a little time, but it was worth it. When we trek our way to WA? I’ll be sure to make it fall! YES, but summer is good too! I love the pillow and am checking it out now. Your decorations are so beautiful. Thanks for the linkup too. 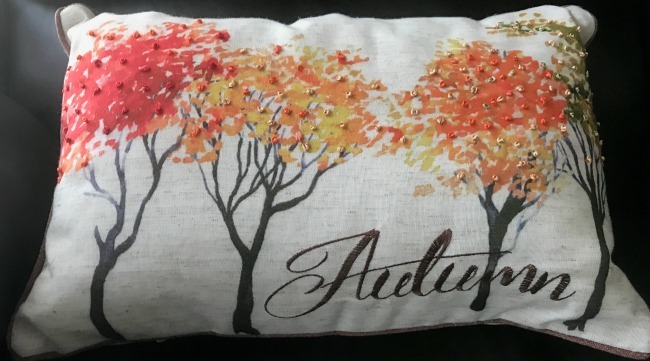 Thanks Mary, I love my new pillow and Home Goods had it for a good price, but the Amazon pillow is on my list to add as well. 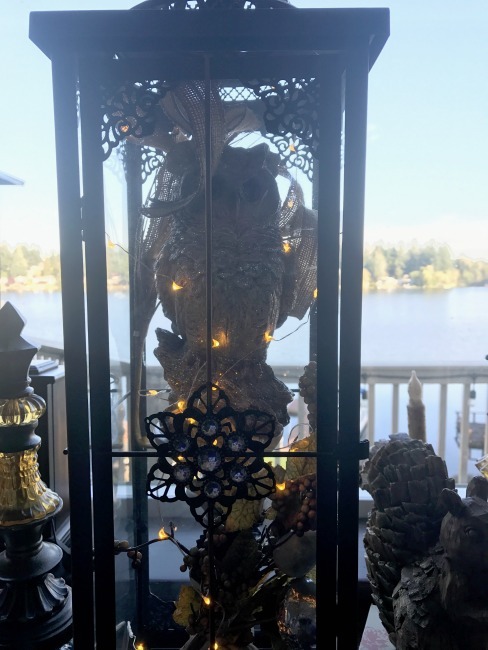 Thanks for linking up and enjoying my decor this week. Lisa, you are more than welcome to enjoy my decor, anytime. 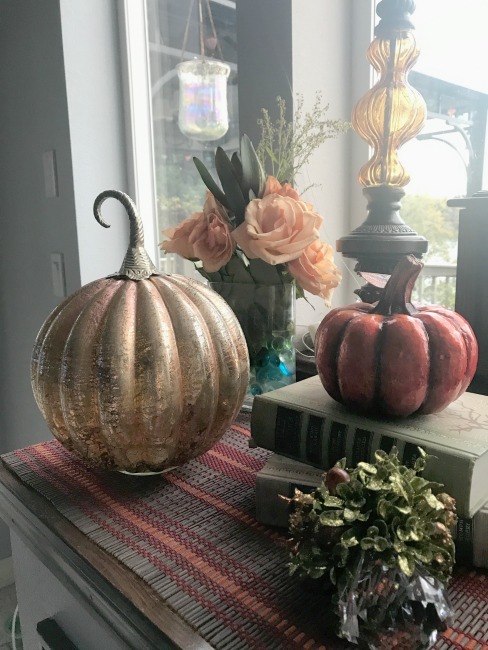 It brings me joy to put fun seasonal touches around the house…. I like to share my pictures so other can enjoy the decor too. Thanks for hosting and have a wonderful weekend. Love your décor. Beautiful decorations! 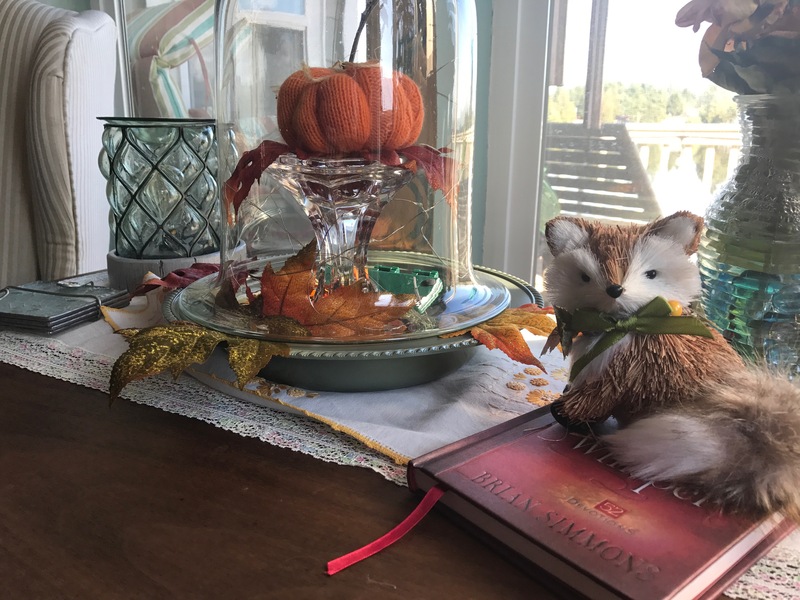 My daughter would love your fox – she has fox decorations everywhere! Thanks for Tune In Thursday! You are most welcome – thanks for linking up Roseann! 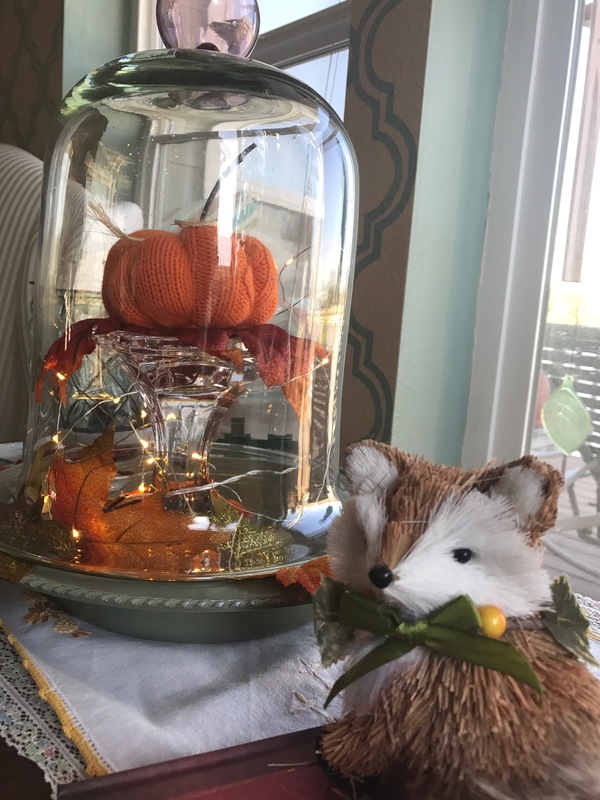 I got the little fox at Pier-1, it wasn’t too pricey either. thanks Marilyn – you always know how to through a good party too. Is there no end to your talents, Debbie? 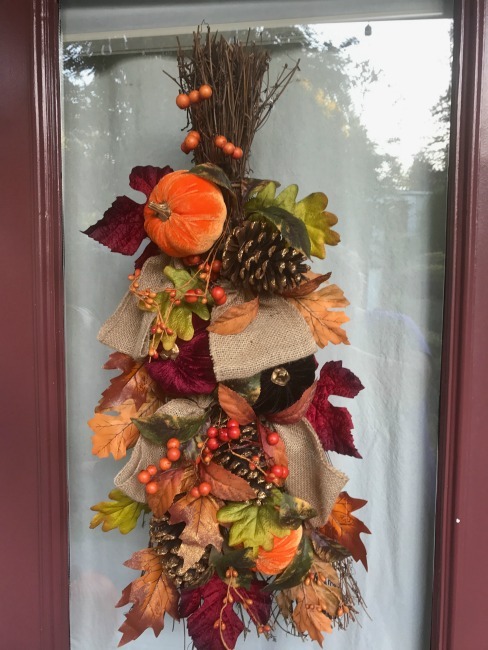 Your fall decor is gorgeous! I especially like your front porch. I gather seasonal decorations throughout the year, too. It seems so much easier than all at once. Oh, thank you so much Alice. 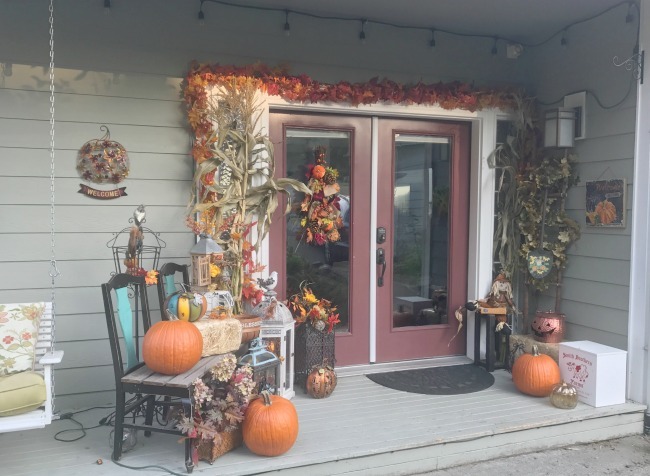 I have always wanted a big front porch to decorate, so I have been only doing this for the last 3 years when we moved into our current home. 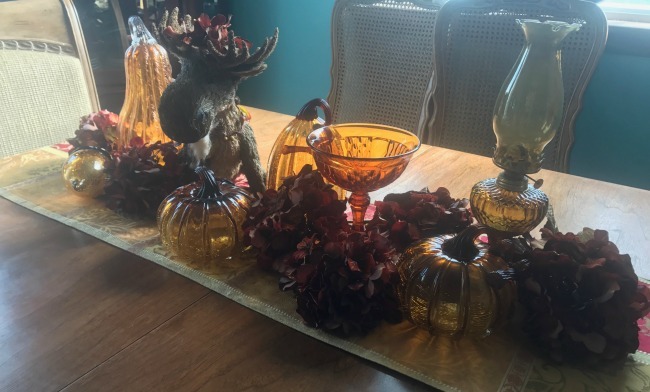 Gathering seasonal decor makes it so much more cost effective and fun to go on the hunt looking for new items. Debbie, I remember totally loving how you decorated last year, and you didn’t disappoint this year! Isn’t this such a fun time of year? My favorite actually, even though the season really doesn’t change where I live. But I’m in a new season with a fresh new home, and I’m going to decorate! Love all of your beautiful decorations! I especially like the “Blessed” basket! You could set that out all year, it has such a great opportunity for conversation starting also. 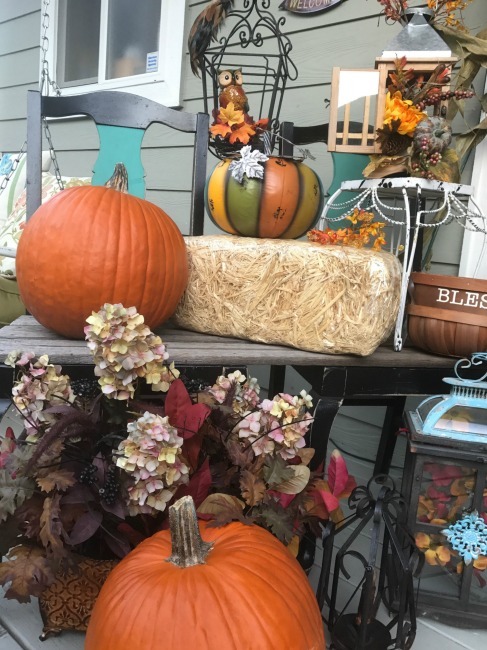 Happy Fall Blessings to you! THANK YOU Bettie! 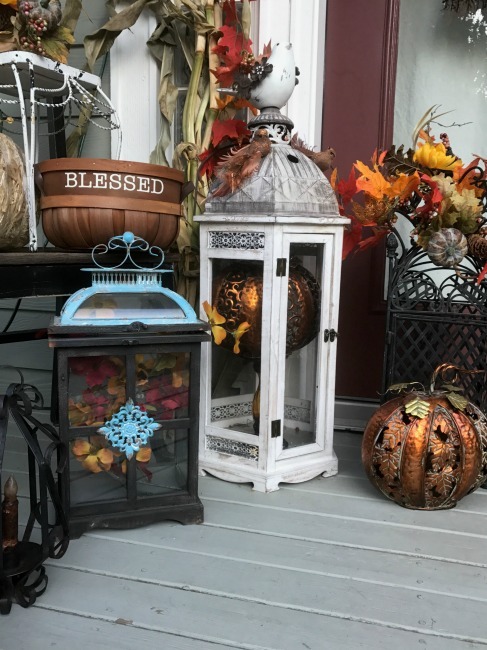 I hadn’t really thought that far ahead, but you are absolutely right – the ‘blessed’ basket can be used all year around and especially for something fun around Thanksgiving – I got it at Micheal’s crafts with a 50% off coupon so it was pretty inexpensive. Happy Fall and Blessings to you as well. Autumn is my favorite season as well…although summer is a very close second. Being a new englander and seeing spring coming in is pretty sweet as well. And, over the years even winter and I have come to a sort of an understanding. But, Autumn is my very favoritest. I like all the seasons for different reasons, but autumn is my favorite as well 🙂 LOL I can only image how beautiful it might be in the new england area… I love when the cherry blossoms begin to bud and bloom around here at that time as well. Thank you for sharing your favorite seasons and why. I hope you will come back again. I, too, find creative joy in words AND in fluffing things up around my home. Thank you for sharing this side of yourself! Wow, Debbie, your photos are beautiful! What a lovely way to celebrate the season! Thank you Deb! It does bring me joy to have fun decorating here and there – I am so glad you enjoyed my pictures. 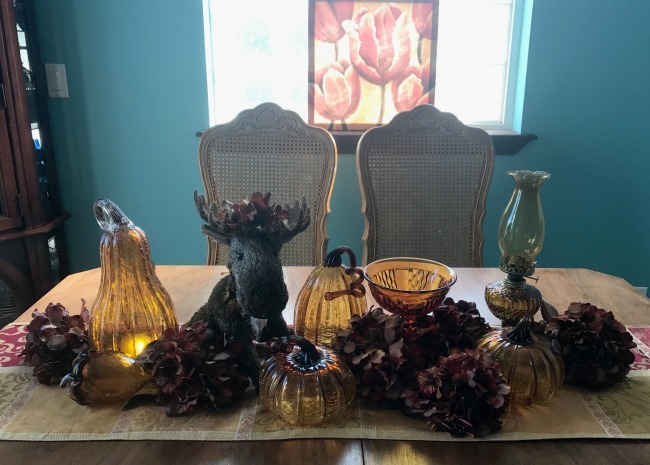 I just decorated my house and added a few more pieces that I picked up at 40% off at Hobby Lobby. I decorated my office here at home for the first time too and I LOVE it! wow – why write when you can decorate? (I always say!) lovely! 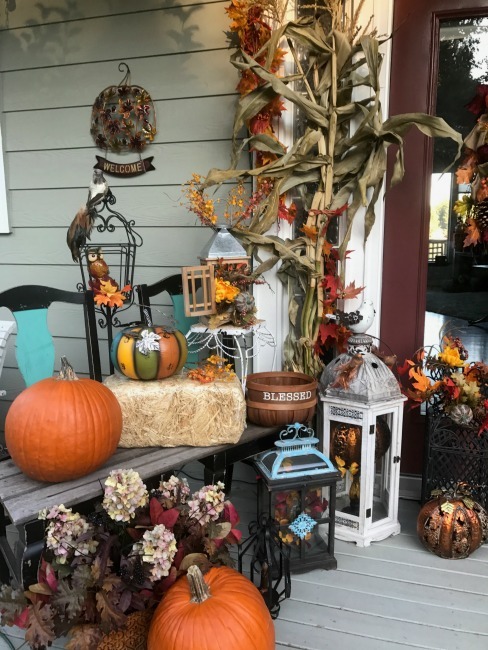 Love the Fall decor! Isn’t it fun to decorate for the season!